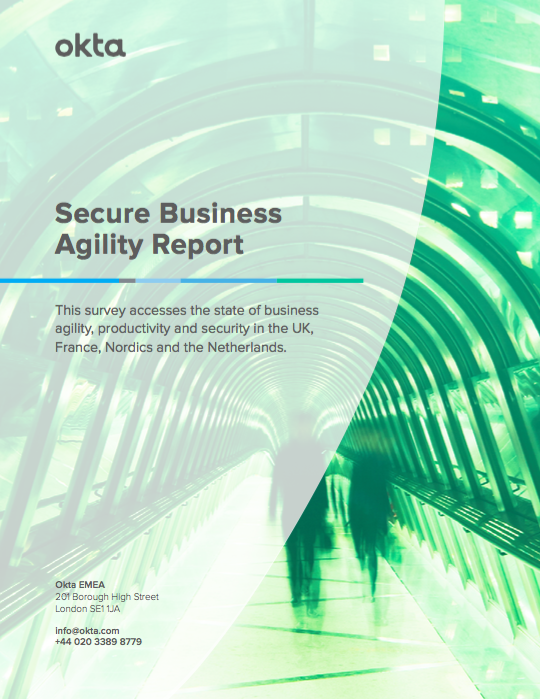 Okta commissioned a survey to assess the present state of agility, productivity and security within EMEA businesses. We found that while most organisations fundamentally believe connecting people to the best technology is vital to business productivity, many struggle to achieve agility due to traditional on-premise security mindsets. As a result, countless businesses are re-thinking their security strategies. Enabling a highly connected and mobile workforce means shifting the attack vectors that organisations must protect against cyber criminals. And, although businesses recognise that this protection requires the modernisation of security protocols with best of breed cloud solutions, many are struggling to adapt. Organisations that protect crucial services and data with inadequate, outdated security tools and methodologies will be left behind. This report investigates the incentives for improving security through the cloud, and the risks of remaining static with legacy technology.